smart is a brand of small, micro and subcompact style cars. The idea for the smart car came from the head of the watch company, Swatch, who thought to create a small car using the same manufacturing and customisation strategies it already used to create some of the best-selling timepieces. Interestingly, smart is actually an acronym that was used internally before being officially adopted for the brand, and stands for 'Swatch Mercedes Art'. The idea for the smart car may have originated with Swatch in the ‘80s, but it was only after a deal was struck with Mercedes-Benz that the project began to move forward. After several attempts at co-funding the project with another automobile manufacturer were abandoned or aborted, Swatch and Mercedes-Benz joined together to found a new company, known from then on as Micro Compact Car AG (MCC). In 1994, MCC set up a head office in Switzerland. When were smart cars released? The original smart city coupé and city cabrio were first released onto the market between 1998 and 2000, over four years after the company's official formation. Since then there has been a steady expansion and revision of the smart offering, with the forfour and fortwo (formerly the city cabrio) remaining mainstays of the range. They have been joined at various points by the crossblade and smart roadster amongst others. What smart cars are currently available? Where are smart cars built? Although the creators of the smart car initially viewed over 70 locations in which to build a factory, they eventually settled on Hambach in France as the site for their dedicated assembly plant. The factory was operational soon after, and quickly became referred to locally as smartville. smart currently holds a four-out-of-five star safety rating from the crash test safety experts at Euro NCAP. Whilst it lost percentage points for a lack of safety assistance technology, such as collision detectors, it did score over 80% for driver and passenger safety so you can drive with confidence in your safety. Whilst not all smart cars are electric, it is possible to buy a specialist, electric version of the smart fortwo. The smart fortwo electric vehicle was first released in 2006, with the recent fourth generation following suit ten years later in 2016. This most recent smart fortwo electric vehicle comes powered by a 17.6-kilowatt-hour lithium-ion battery pack that gives it a range of 99 miles. 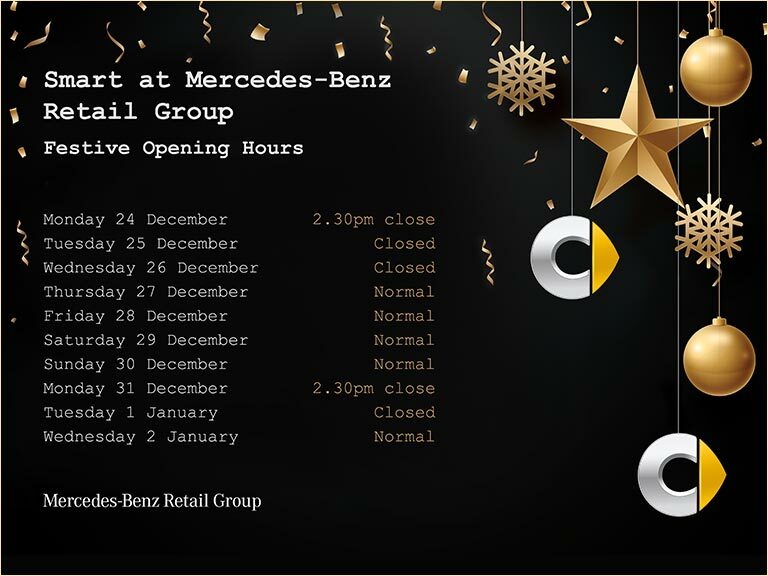 You can view a range of smart vehicles at our Mercedes-Benz & smart dealership. Our specialist team will arrange a test drive and discuss models and trim levels with you, answering any questions that you may have.